It’s rare when industry competitors get together to collaborate. It’s even more unusual when they get together to discuss ways they can lessen their environmental impact. Yet that’s what happened as a result of our relationship with bluesign® technologies, an independent third party that screens the dyeing and finishing of textiles. bluesign technologies grew out of a small group of dyehouse chemists who had a vision based on years of experience in the textile and chemical industries. In 1990s Europe, customers and consumer organizations were asking for environmental improvements beyond what was mandated by the law. At the same time, research by environmental NGOs and apparel companies was increasing pressure on factories to remove certain chemicals from production that were legal, but still of environmental concern. As a group of chemists was doing this work for their dyehouse customers, they realized they were gathering knowledge that was rare in the textile industry and started to compile it with the help of experts from research and academic institutions. They eventually decided to form the bluesign® standard, which could be used to evaluate the environmental impact of dyeing and finishing products in the global textile industry. bluesign technologies’ rapid growth is due to the fact that dyeing and finishing is where the biggest environmental problems are typically located in textile production. It is also the area that companies need the most help given the amount of constantly-changing information – about chemistry, legislation and global manufacturing locations. Through a screening process, bluesign technologies looks at all the chemical raw materials that are in a textile mill and rates them in three categories; blue, grey and black. Raw materials that pass the above screening are labeled blue and are good to use. Raw materials that need special handling according to “Best Available Technology” are labeled grey. Raw materials that can't be handled cleanly are labeled black and their use is forbidden under the bluesign® standard. I knew that we needed to enlist others in our industry to also adopt the standard for it to make a big difference for the environment. We first invited Mountain Equipment Coop in Canada to partner with us to bring it to our overlapping supply chains. Both companies have hosted meetings, inviting competitors to learn about this standard with the hope of gaining momentum and more members, like the one mentioned above at REI. 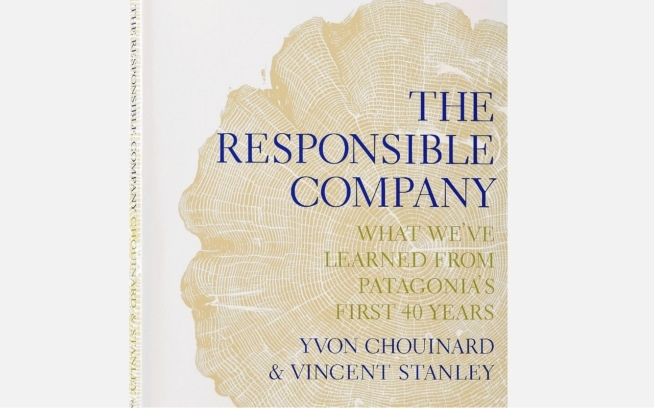 We have often realized at Patagonia that if we don’t reach beyond our walls to spread our environmental work to the broader industry, the impact won’t be felt. Our hope is that by reaching out to our competitors, we will have a much larger cumulative effect in reducing toxics, water and energy use. I am happy to report this is happening. Nine of our vendors have adopted the bluesign® standard and more are in the process.. This exceeded our initial expectations. We still have a long way to go, but we’re confident we will get there because we have a good strategy and strong partnerships in place.